One of my favorite things about throwing parties is making them personal. 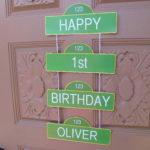 Finding a theme or idea that suits the person is always more fun than a generic party. The theme of the Sobriety Party I threw for a friend was Pepsi because she absolutely loves Pepsi. This Teal & Sparkle Bridal Shower was perfect because the bride-to-be loves all things teal and sparkle. 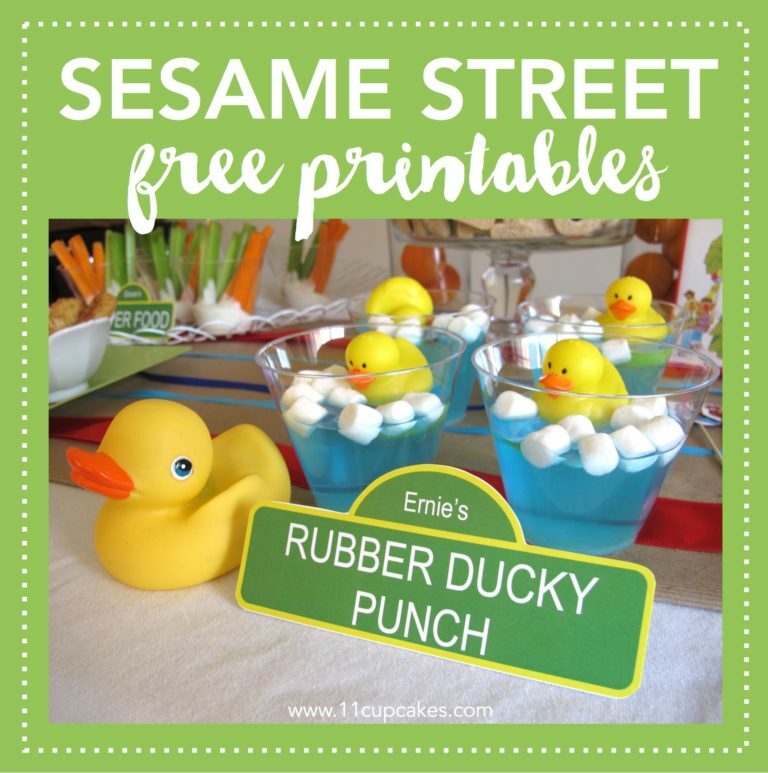 And my little friend had a Sesame Street 2nd Birthday Party because Elmo is his favorite. You get the idea. 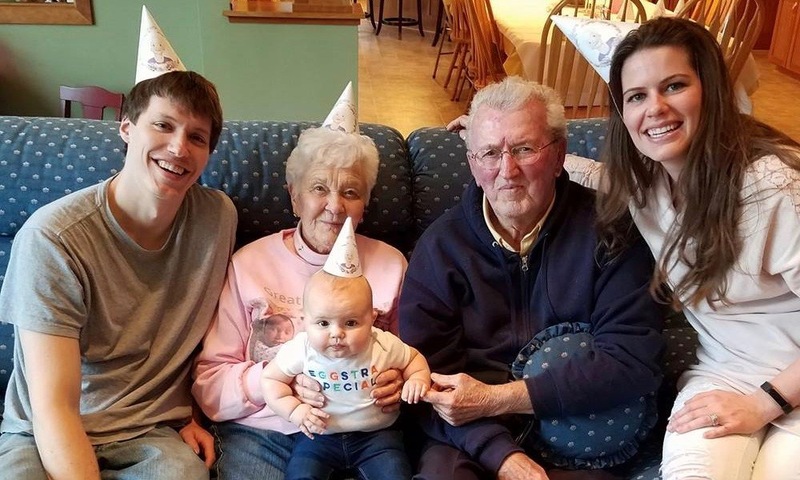 A few weeks ago I was home in Minnesota to celebrate my Grandma’s 90th birthday. 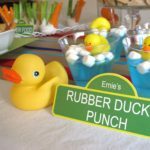 When thinking through how to create an evening that celebrated her and her family we thought through many different things that can be used for any milestone birthday party or anniversary. 1. 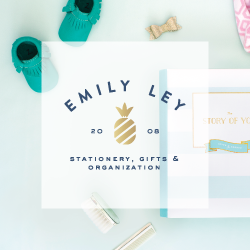 Make it personal– Creating an event that celebrates the individual and their life can be lots of fun. 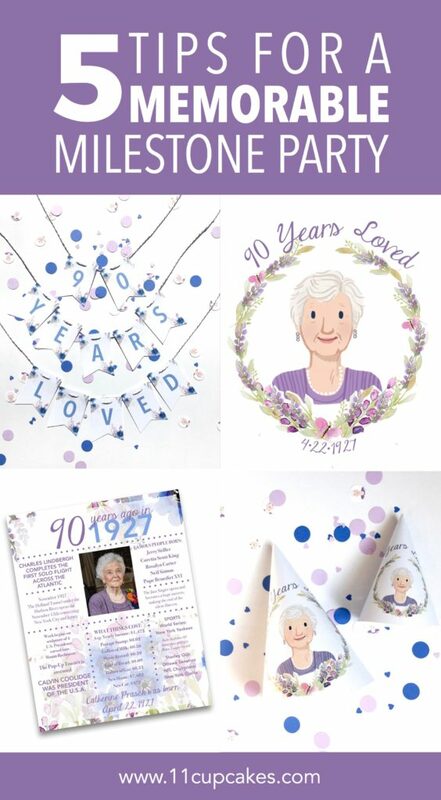 For my Grandma’s party, I used the tagline 90 years loved throughout the party as a reminder of how much we all adore her. 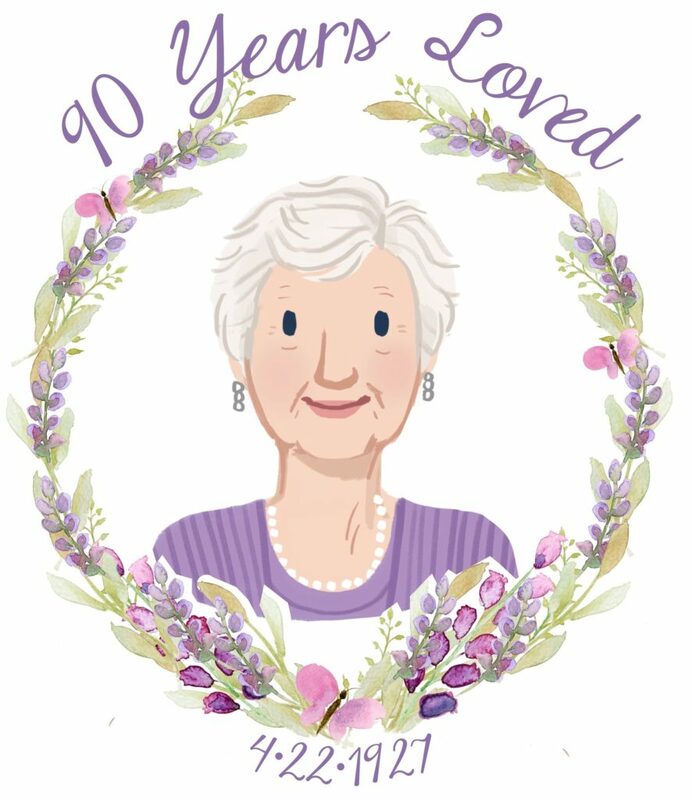 I wanted to incorporate the tagline into a fun logo, so I had a sketch created of her, and then added a watercolor wreath and text. We used this on the party hats and drink stirrers. It was definitely one of my favorite parts. 2. Include their Favorite Things– One easy way to make the party personal is to include the guest of honor’s favorite things. 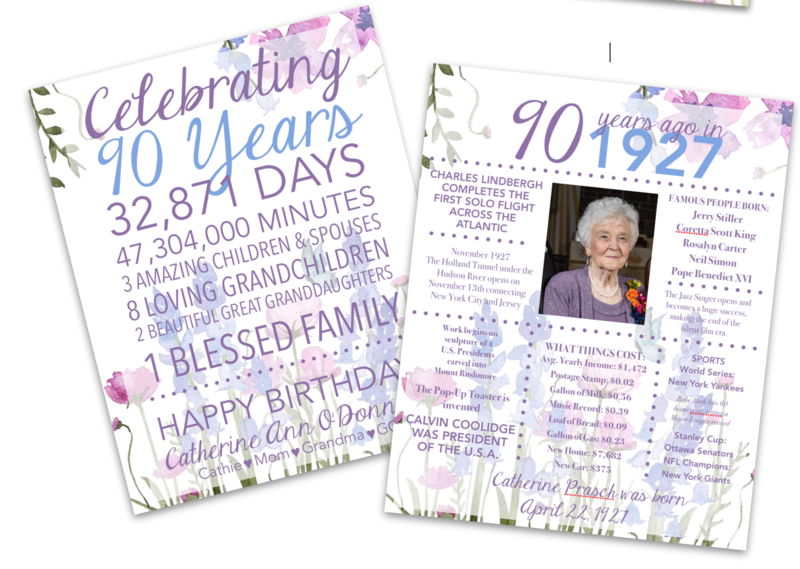 My Grandma loves butterflies and flowers, so those were included in the design of the banner and logo. We had lots of flowers on the table and everything was purple, blue and pink (her favorite colors). We also gave her some of her favorite things as part of a game- a poinsettia, a large container of cheese puffs, chocolate bridge mix, red jello, Boston Baked Beans, and a bottle of Bailey’s Irish Cream to name a few. 3. 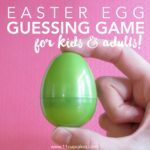 Have a Game or Activity– Before dinner, we played Grandma Trivia. That’s right- an entire game of trivia about my sweet Grandma! My mom interviewed her about her life and wrote questions based on her answers. 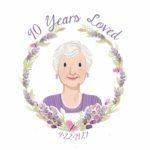 My Grandma is a pretty amazing lady and it was fun for everyone, especially her grandkids, to learn more about her childhood and life. After dinner we played Guess that Memory. Before the party we had asked all of our family to think of their favorite memory with Grandma, and write it on a notecard. One person read the memory and my Grandma had to try and guess who wrote it. This also led to lots of funny stories being retold and expanded. 4. Bring on the Food- What’s a great party without great food. Serve h’orderves and drinks when guests first arrive- you don’t want anyone to be hangry before dinner 🙂 My had lots of time to hang out and play games before sitting down for the main course. Dinner and dessert are also great ways to incorporate the guest of honor’s favorite things. 5. Keep the Party Going- We had a great evening- and weekend- celebrating my Grandma. Since her actual birthday was the following week, we wanted to make sure she felt special all week. My mom secretly asked her friends and family to mail her a birthday card for her 90th birthday. A few days before her birthday she started receiving dozens of cards each day from people from all over the country. She ended up receiving more than 40 birthday cards during the week- how fun! The watercolor wreath, banner and sign were all made using the beautiful designs from Craftberrybush.com. 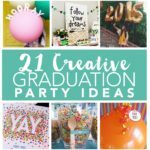 This post literally made me want to find a reason to throw a party! 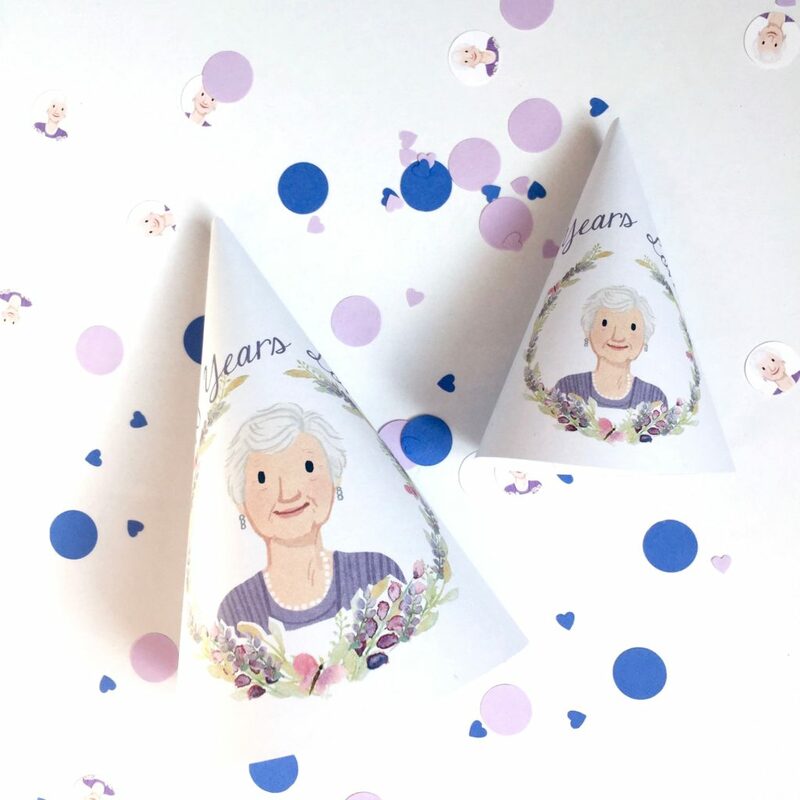 This is SO sweet – I absolutely love your ideas, and seeing how you enacted them to make such a special day for your grandma! Wow!! This is such a fun party! I love how that sketch turned out, and that you put it on party harts. Well done! Thanks Danielle- it was a lot of fun! I LOVE this idea!! My mum will be 60 next month and I’ve been trying to come up with something special but still within a budget. Thank you for this! Now I have an idea what kind of party to start with my dad’s 70th birthday! My grandmother turns 90 on December 8th, I have a little over a week to plan her an amazing birthday party. 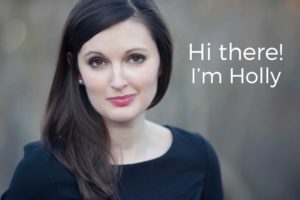 All her 2 children want to do is take her to dinner. I feel something more special needs to be done but I’m not sure what I an pull off in a week! Do you have any ideas? I need serious help!